Countywide Mechanical Systems participates in many Small Business Association (SBA) outreach events throughout the year. These outreach events invite material suppliers and small business owners, within the construction industry, to attend the events to provide networking opportunities that will help grow their businesses. All State of California and Federal projects establish small business goals for certain size projects and the use of entities such as Small Business Enterprise, Women Owned Small Business, DVBE, VOSB, SDVOSB and HUB Zone, help us connect with subcontracting or purchasing partners. 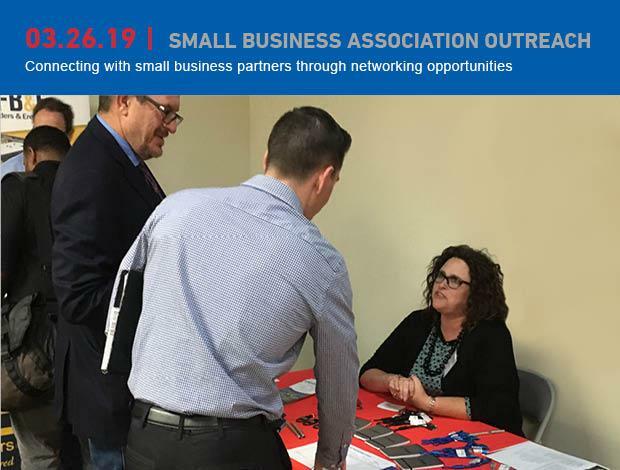 To support our initiative toward meeting these SBA outreach goals, we have teamed up with local General Contractor Sundt Construction, Inc. and the San Diego Airport Authority to participate in SBA outreach events held in various locations of San Diego County. We have participated in three of four scheduled SBA outreach events with great success in meeting new small business subcontractors, as well as some material suppliers that we would not have otherwise known about. Countywide continues to look for more opportunities to reach out in the community and connect with the small business entities that serve our industry both for our San Diego and Sacramento offices.